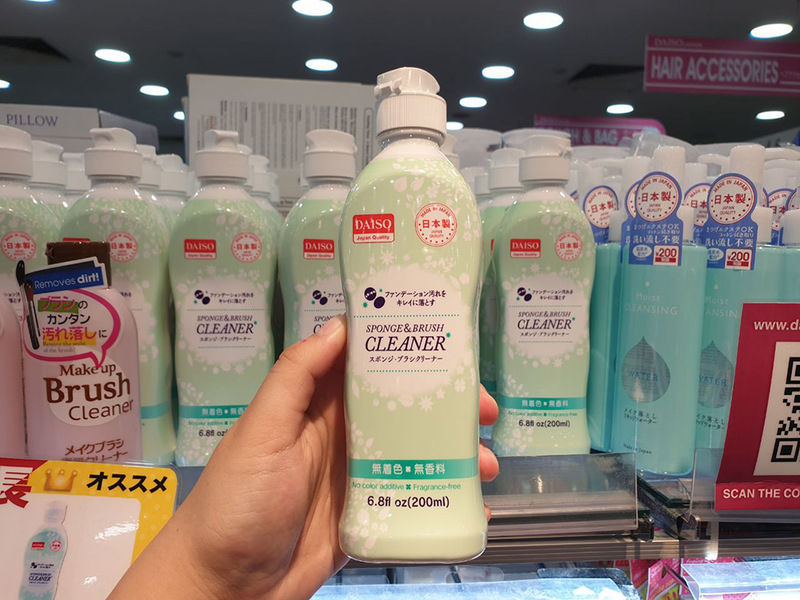 Daiso beauty products are all over the store, but you might be slightly wary of them, given that they’re just $2 each. It’s natural to be concerned about what goes into the products you put on your face. However, do you know that Daiso has a fantastic range of beauty tools with great quality, almost rivalling commercial beauty tools? 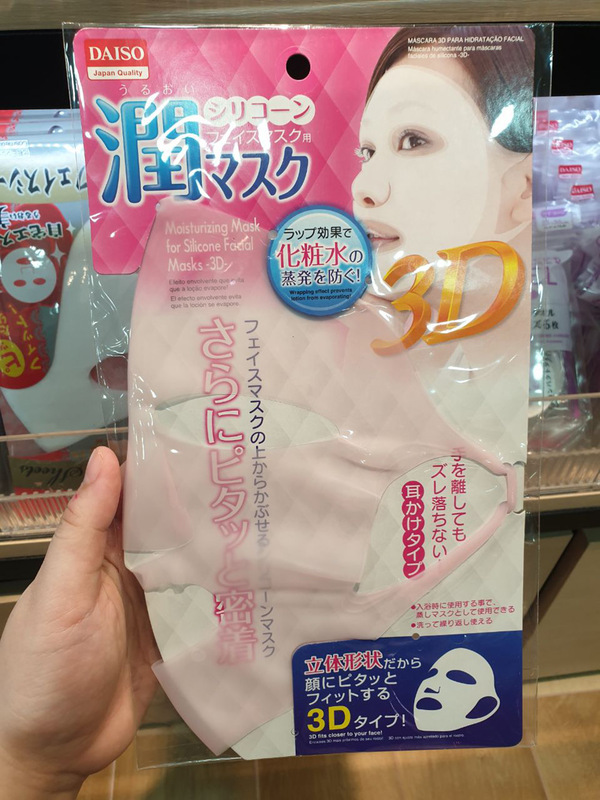 Daiso also has its own beauty inventions, which can only be found in their stores. Talk about Japanese inventiveness. Plus, they’re only $2 each, so what are you waiting for? You might be wondering why you’d need a silicone mask. It will actually be your best friend in your sheet-masking adventures. After applying your sheet mask, put this silicone mask over the top to keep all the moisture and essence in. This makes sure that the good stuff goes nowhere else but into your skin. You can cut holes in the ear loops so that it fits your face perfectly. From a dry sheet mask in 30 minutes, you could keep the mask going for an hour for maximum hydration. For just $2 a pop, this is one of Daiso’s best inventions. If you’re looking at Daiso beauty products, these might just be the best value for money. They are really soft and good quality brushes for just $2. Made of synthetic bristles, you can easily spot them by their bright ombre pink or blue brush heads. They rival commercial brushes and cost only $2. If you are a beginner at makeup, these are perfect for you as you can easily experiment with brush shapes and types. We recommend the kabuki brush for its big and luxurious brush head (perfect for setting your powder), and the contour brush for the small and angled brush head for precise contouring. This is a cult-favourite for a reason – beauty bloggers worldwide (with access to Daiso!) rave about its superior cleaning abilities. It’s gentle and not too soapy, which makes for a perfect sponge cleanser. Under running water, wet your dirty sponges and squeeze the sponge detergent liberally all over. Squeeze your sponge to get rid of all the gunk, and rinse off to reveal a brand new sponge. Do stock up on these! These mask tablets are great for reducing wastage. Got leftover serum in your sheet mask packet? Chuck one of these tablets into the packet and you’ve got yourself a brand new mask. 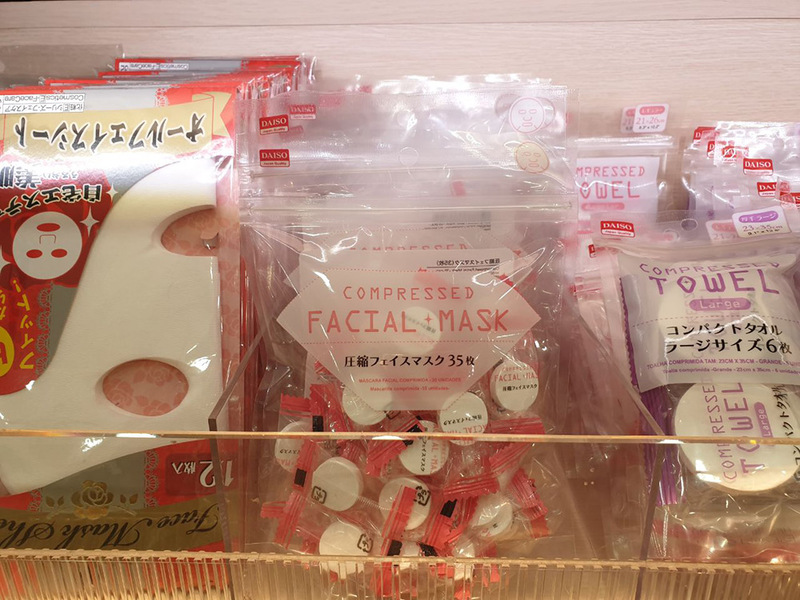 Do note that Daiso carries different shapes of these tablets, some with just a traditional mask shape, and some with ear loops and neck support. The bigger the surface area, the more serum you’d needed. You can also use your favourite toner and lotion on these tablets for a DIY mask experience! 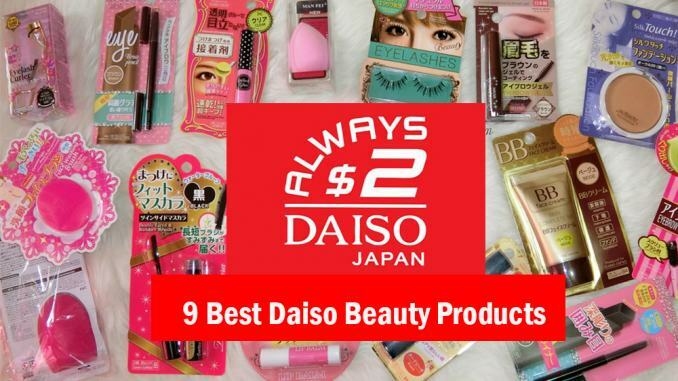 This could be one of Daiso’s best beauty products! It keeps your eyebrows completely budge-proof, smudge-proof and water-proof. After drawing on your eyebrows, just swipe a coat of these over your eyebrows to keep it on for the whole day. Just watch the video above to see the magic. Alternatively, you can use this as a brow gel by coating a spoolie with it and brushing over your eyebrow hairs. Do remember to rinse your spoolie afterwards! 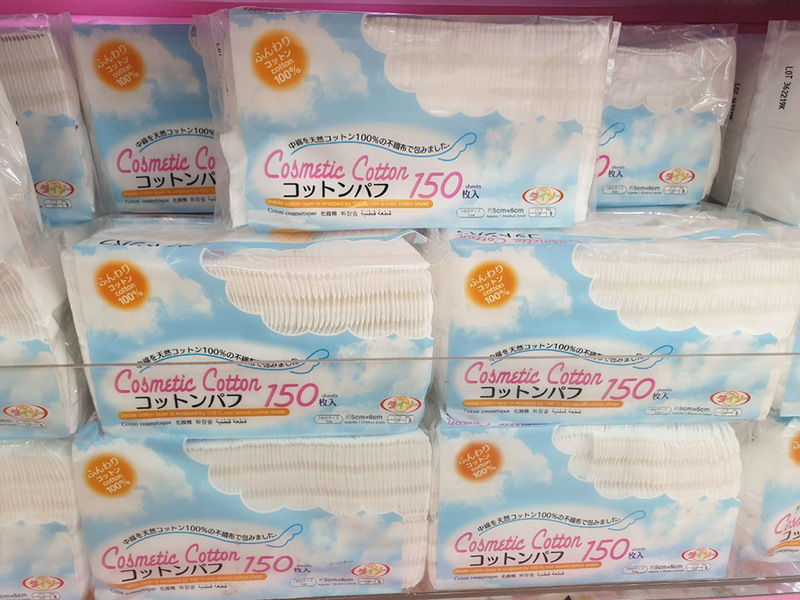 Daiso’s cotton pads are not your average flimsy ones at most drugstores. Because they have fewer pieces at $2, they’re also more expensive but are definitely of good quality. You can peel off the layers one by one, and soak each piece in lotion for a DIY sheet mask, or use it as a whole piece to remove your makeup in a gentle and non-irritating way. 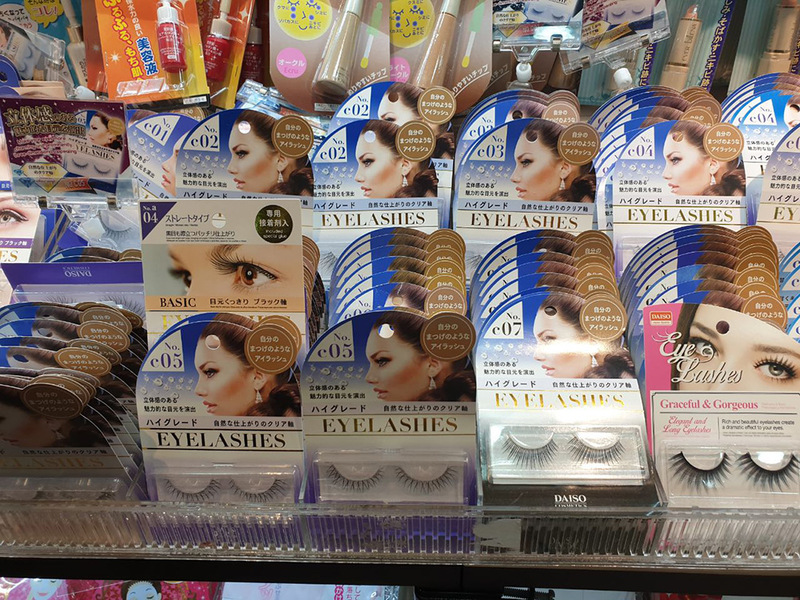 There are a few dozen false eyelashes at Daiso to choose from! Take your pick from natural to dramatic falsies. If you’ve always wanted to experiment with false eyelashes but are worried about the price, you can try some of Daiso’s eyelashes. Do note, however, that some are of better quality than others, so look out for those that do not have a plasticky sheen. These will look more artificial on the eyelashes. Want a natural and gentle way to exfoliate your skin? 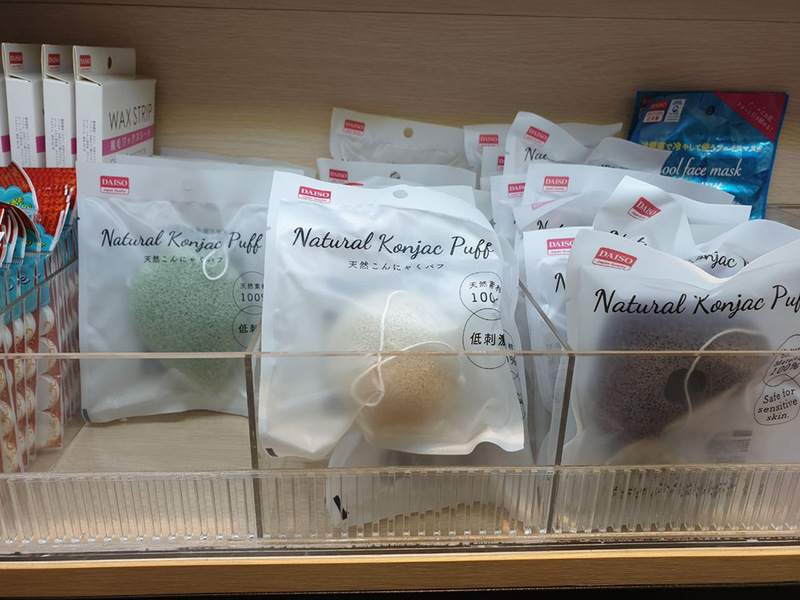 Why not try a konjac sponge? Wet it under running water and squeeze to watch it inflate. Then, without any soap or cleanser, rub the konjac sponge in circular motion on your face to exfoliate and cleanse gently. Konjac sponges are slightly alkaline, so they have a mild cleansing effect. Also, red sponges have French red clay, grey/black sponges have charcoal, while green sponges have green clay. Have a tough time washing your brushes? Get yourself a brush egg for only $2 and make brush-washing an enjoyable activity. When you swirl your dirty brushes over the ridges, it scrubs out the gunk in your brushes and cleans your bristles thoroughly. Because this is made of silicone, it can be used over and over again, and you’ll make life much easier with just $2. Why not get a few of these products for yourself and try them out? 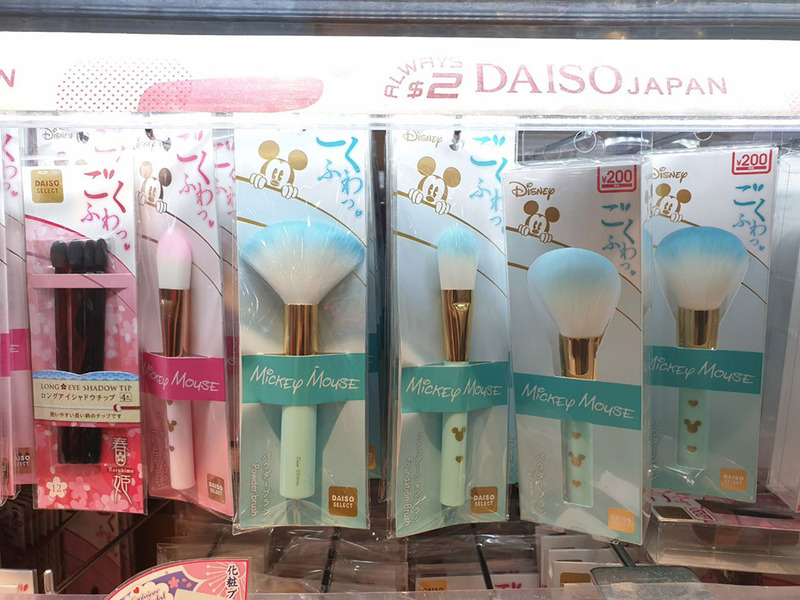 Let us know what your favourite Daiso beauty products are!